Recently, there has been a lot of discussion in the scientific community about whether we should allow some species to go extinct. The argument put forward is that the number of endangered species is so great, it isn’t worth the resources to attempt to save them all. But in a wealthy country like Australia – which has some of the best ecologists, conservation biologists and conservation scientists in the world – it is critical that we do far better in managing the nation’s natural resources. A loss of biodiversity is an indicator of poor environmental management. Suggesting that we should let yet more species go extinct on this continent is too defeatist and does not inform the public about what is needed to solve the country’s biodiversity issues. The approach to allowing species extinction has been around for some time. It’s called “ecological triage”, whereby limited resources for conservation funding are targeted at the subset of species for which management success is most likely. The approach stems from the same process used in medicine to set priorities for allocating efforts to treat patients. The ecological triage approach is thought by some to be essential because it is believed that many resources are directed to species on the brink of extinction that are doomed in the long run, and too few are targeted at declining flora and fauna that are still recoverable. As a counter to these ideas of ecological triage, some conservation biologists believe that parallels between emergency medicine and conservation biology are inappropriate. For example, they consider that it makes extinction acceptable and allow decision-makers to get away with allocating insufficient resources to address environmental problems. More than a decade ago, scientists Cameron and Soderquist argued inNature that nations such as Australia should reject the concept of ecological triage because it is has the knowledge, time and ability to save threatened and endangered species. My own opinion is that rather than arguing about which species to save and which ones to let go extinct, five key things need to be done. 1. We need to make some general calculations about how much money is needed to adequately conserve Australia’s biodiversity. 2. We must develop the funding framework to support effective conservation and land management efforts. Piecemeal, short-term and underfunded attempts characterise the environmental management arena in Australia – usually with limited success. Large-scale and long-term initiatives like an environmental levy (like the Medicare levy) or a GST on food with the funds directed in land management are possible options. Levies can work and if managed appropriately (and transparently) can raise sufficient funds to solve major problems and spread the burden across all of society to generate a public good outcome. 3. We must identify the management actions and expenditure of resources that will provide the maximum benefit. 4. 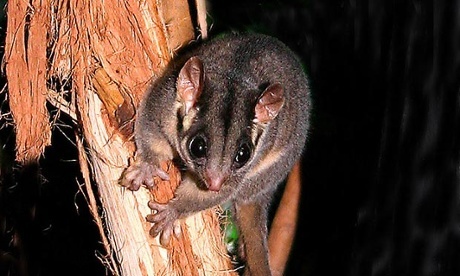 We need to do the proper management interventions to tackle the processes threatening biodiversity in particular ecosystems – be it limiting industrial clearfelling in the wet forests of Victoria to conserving populations of the endangered leadbeater’s possum, continuing strategic fox-baiting to reduce feral predators and maintaining populations of animals like the eastern bristlebird, or protecting woodland remnants and re-vegetating patches of woodland on farmland to help recover temperate woodland birds. 5. We must do the monitoring so that we can tell what management is working (and then keep it going), and what is not, so that it can be changed. This last step is critical as it essential to show investors – the Australian public – what was the environmental return on the investment. Debates about letting species go extinct are important to stimulate discussion among the public, policymakers and politicians about the long-term trajectory of conservation. This nation must properly identify the expenditure of resources, management actions and monitoring that will conserve its natural heritage. No Replies to "Don't give up on Australia's endangered species"